Family owned and operated for 30 years, derma e® has pioneered the development of vitamin-rich, high-performance antioxidant skincare solutions. The award-winning line features doctor-developed and clinically-tested face care, body care and treatment products that are free of parabens, phthalates, mineral oil and petrolatum. Every formula is cruelty-free and 100 percent vegan. Manufacturing and operations are offset 100 percent by wind power. 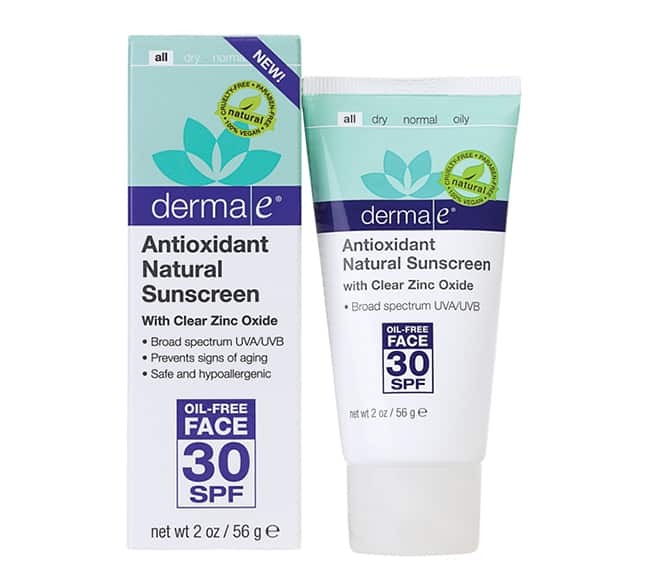 derma e Antioxidant Natural Sunscreen SPF 30 Oil-Free Face Lotion – This oil-free, lightweight, non-greasy facial formula delivers broad-spectrum UVA/UVB protection and anti-aging antioxidant defense. 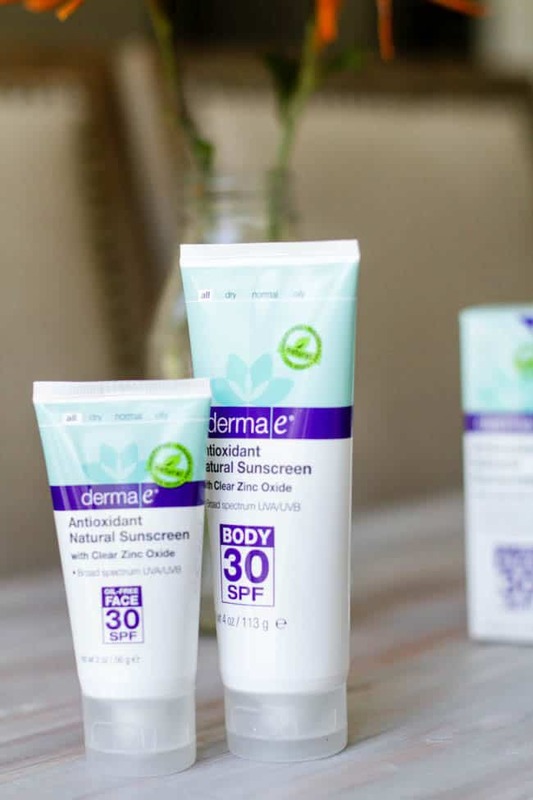 derma e Antioxidant Natural Sunscreen SPF 30 Oil-Free Body Lotion – This sheer, enriched formula glides on evenly and absorbs quickly to provide broad-spectrum UVA/UVB protection and anti-aging antioxidant defense. Hello Glow received product for review purposes. All opinions are 100% ours.